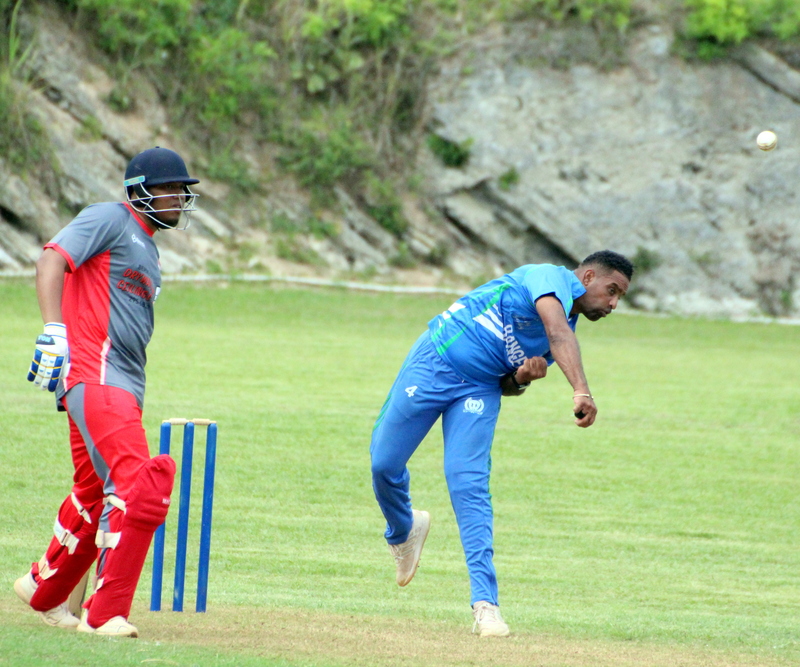 At the Southampton Oval, Bailey’s Bay batted first and were bowled out for 164, Derrick Brangman was the top scorer with a knock of 57, while Malachi Jones was the pick of the Southampton Rangers bowlers with figures of 10-3-29-2. In reply the Southampton Rangers scored 165/4, captain Dion Stovell was the top scorer with 44 not out, while Brangman led the Bailey’s Bay bowling attack returning figures of 9-3-44-3. At the Wellington Oval, the St. David’s Cricket Club moved one step closer to retaining their Premier Division title with a 20 run victory over the St. George’s Cricket Club. Batting first the St. David’s Cricket Club would score 218/9 in their 50 overs, with George O’Brien the top scorer with 59, while Detroy Smith was the pick of the St. George’s Cricket Club bowlers with figures of 10-2-46-3. In reply the St. George’s Cricket Club were bowled out for 198, captain Macai Simmons was the top scorer with 49, while Allan Douglas Junior was the pick of the St. David’s Cricket Club bowlers with figures of 8.2-0-36-5, while George O’Brien bowled 10-0-25-4. At the Somerset Cricket Club the home team were sent to bat, they were restricted to 163/8 after 47 overs, Dalin Richardson was their top scorer with 45, while Rohan Davis was the pick of the Western Stars bowlers with figures of 10-3-13-2. After a rain shower interrupted play and the Somerset Cricket Club total was reduced to 121, they would score 122/5 with Jekon Edness the top scorer with 60, Micah Simons was the pick of the Somerset Cricket Club bowlers with figures of 5-0-14-2. At the PHC Stadium, Warwick Workmen’s picked up their third win of the season, PHC were bowled out for 79, Randy Bean was the top scorer with 16, while Stephen Dill was the pick of the Warwick Workmen’s Club bowlers with figures of 10-2-30-3. In reply Warwick Workmen’s Club would score 80/2, Mckario Burch was the top scorer with 39 not out, while Lamer Richardson was the pick of the PHC bowlers with figures of 5-0-20-1.